Come and join this session if you need to raise your vibration which will assist you in replacing old patterns with the awareness of choosing new direction and possibilities for your life. The intention is to promote a state of deep relaxation (an optimum state for our innate healing powers to take effect) while allowing the body to pick up the vibrations it needs to help shift blocked energy and restore the body’s natural frequencies. 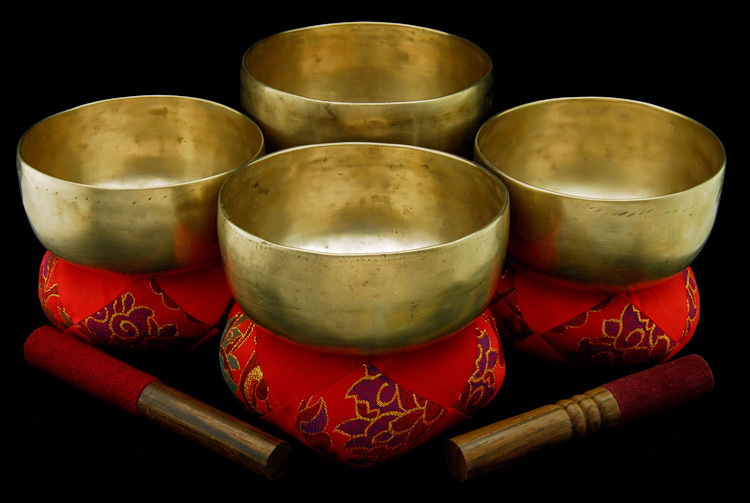 In this session I use Tibetan bowls and my voice. Towards the end of the session, I use a selection of other sound healing instruments – rain-sticks, drum, bells, shakers. It’s advisable to avoid stimulants (alcohol, coffee, etc.) or a heavy meal before-hand and ideally to avoid or limit alcohol afterwards. Please take a bottle of water with you. There will be mats available but please bring your own blanket and pillow for extra comfort.